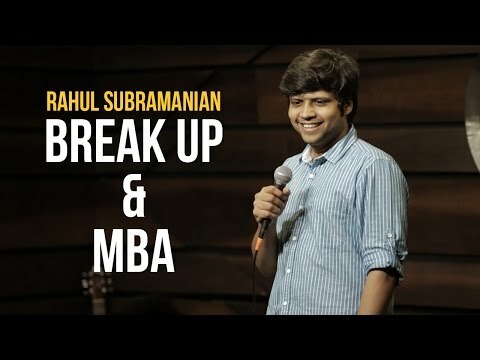 A 29 year old engineer who is married at such an adolescent age and above all an MBA Rahul Subramanian basically represents the worst that can ever happen to someone. 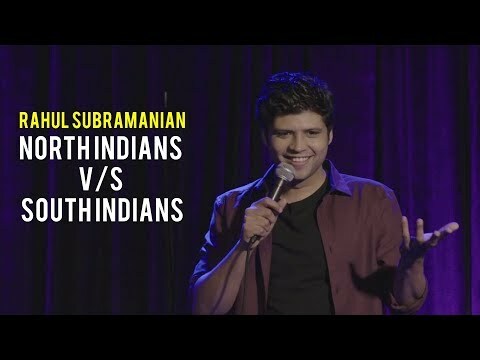 Working as a Brand Manager in a reputed company in Mumbai Rahul finally started pursuing his passion of stand-up comedy during his free time to relax his mind and more than that to take out all the frustration of a corporate employee in his stand-ups. He entered into the arena of comedy in 2014 to satiate his urge to make no sense after mentally torturing himself for quite a long time. In such a short span of time he has proved his mettle by winning big stages such as Virgin Pants and Canvas Laugh Club - all India open mics. But according to him he won these titles because he has enough money in his pockets to take care of the judges. Weak at writing bios and doing SWOT analysis Rahul finds his strengths in being an irresponsible free bird and drinking filter coffee as he is a Tamilian.